Living in a tent full time may seem like a radical decision, but it’s a life choice that is attracting more and more people by the year. Tent life brings a host of benefits including financial savings, simplification, a greener lifestyle, the freedom to travel, as well as increased health and happiness. After all, you’ll be encouraged to connect with nature and your family with far greater outcomes. Before making the switch, however, it’s imperative that you find the best tent to live in to start the next chapter. There are a number of considerations to take into account, which can make it feel a little daunting. Nonetheless, if you focus on the list of priorities below, you’ll be destined to make the right selection. The simplicity of living in a tent full time is wonderful. For some people, the thought of sticking to a single living space may sound very attractive. In reality, though, most people will find it a lot easier to live in a tent with multiple rooms. Live-able tents may include several bedrooms as well as another for living and possibly a separate one for cooking. Moreover, you should consider having an extendable overhead facility at the front of the tent as this can become a patio area used for many tasks. Even if it’s merely drying your clothes, knowing that you are prepared for all daily tasks is vital. How many people are living in the tent, and what are their ages? What daily chores will you want to complete? How much space do you need for family interactions and activities? Are individual rooms big enough for the occupants? Dome tents utilize curved poles that will leave a lot of floor space but reduced headroom at the top of the tent. The style lends itself to excellent durability and also stand up to windy conditions. While not too dissimilar to dome tents, this style uses flexible lines to create a long row, reminiscent of a tunnel. A cabin tent usually includes a living space and several bedrooms. It takes a geodesic shape and is a very popular option indeed. This type of tent commonly boasts a central living space with several bedrooms (pods) breaking away. The pod style also offers versatility on layouts. If you plan to move around on a frequent basis, you may also wish to look at popup tents due to their easy installations. For those likely to stay located in one spot for extended periods, however, some of the above larger options are probably a better solution. Is the tent safe and secure from intruders? How easy will it be to repair or replace broken items, including zips, poles or ripped materials? When living in the tent on a permanent basis, you have to take the wear and tear into account. Likewise, the increased threat of problems surfacing should influence your decisions. After all, the financial savings gained from choosing this way of life are significantly reduced if you are forced to continually replace faulty elements. Finding a durable tent that will protect the people and possessions inside should be a priority at all times. With that in mind you’re probably better off choosing an offering from a reputable, long established brand. Living in a tent brings a whole host of benefits. However, there are a small number of potential problems that need to be considered too. A lack of air circulation can be a major issue for those that have selected an inadequate tent (or one better suited to short vacations instead of permanent living). 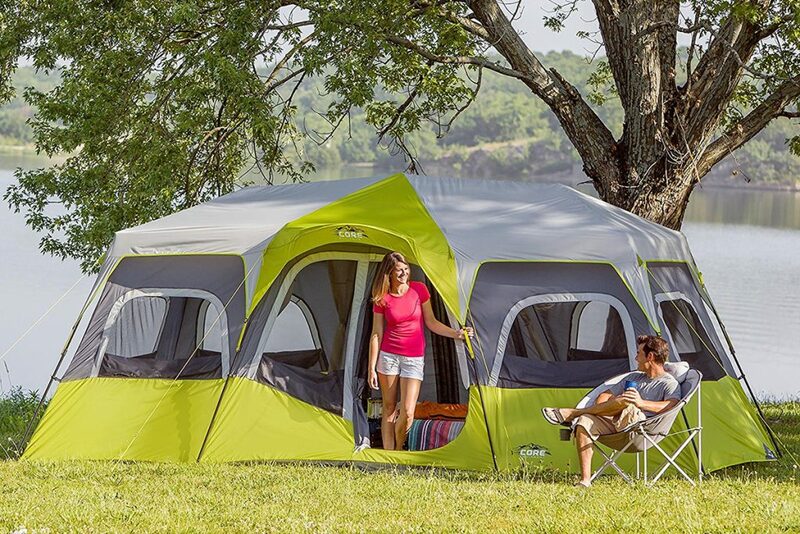 Aside from the main zipped door, you’ll want to have a tent that offers ventilation to each compartment. Netted windows are ideal, but you must consider the fact that there may be rain to contend with. With this in mind, material flaps that prevent rain penetration while maintaining the air circulation are the best solution by far. Condensation can be another massive problem for those that fail to take it seriously. Be sure to choose a breathable material and style that stops this becoming an issue. Just because you are moving off the grid, it doesn’t mean you’ll suddenly stop using the items needed for modern life. You’ll still need to cook and clean. You may even still carry a smartphone with you. After all, living in a tent doesn’t need to be the primitive experience that many people wrongly assume it to be. Is there external coverage to keep gas cylinders and other features protected? 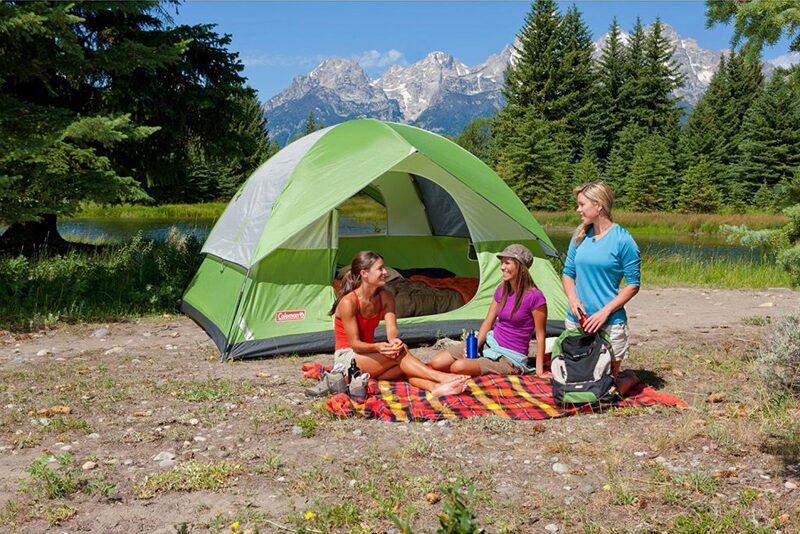 Does the tent boast a flap so that you can feed through any cables or tubing? Is there somewhere to tie lamps and lighting fixtures? Are there enough storage compartments to help keep things organized? Tick all of those functional boxes, and you should be just fine. Tent living can be incredibly liberating and opens the door to an entirely new way of life. Unfortunately, you’ll struggle to unlock the full potential of taking this leap unless you first find the tent of your dreams. Now that you know what to look for, turning this dream into reality should be simpler than ever. The relaxed, comfortable, affordable lifestyle you’ve wanted awaits. I am needing a tent for months. I am staying at my friends land and I want a tent that is easy to walk in and has a lot of space but also can withstand rain, heat, and also BUGS!!! I hate spiders with a passion and want a tent that can keep them out for the most part. I will be spraying around the tent with pesticides. what kind would work, mind you I want a tent to fit minimum of 8 people. I like my room lol.